UK analyst firm Ovum released new research in May 2017 which reveals Australia’s NBN is investing twice as much on regional broadband as the United States and seven times more than major European nations like the United Kingdom and France. More than half a million premises in regional and rural Australia now have access to NBN broadband, as the rollout of NBN’s fixed wireless network nears completion. Wholesale speeds of up to 50Mbps download and 20Mbps upload currently available, make the NBN fixed wireless product significantly faster than most other global fixed wireless services. There are also plans to launch a 100Mbps fixed wireless service next year. 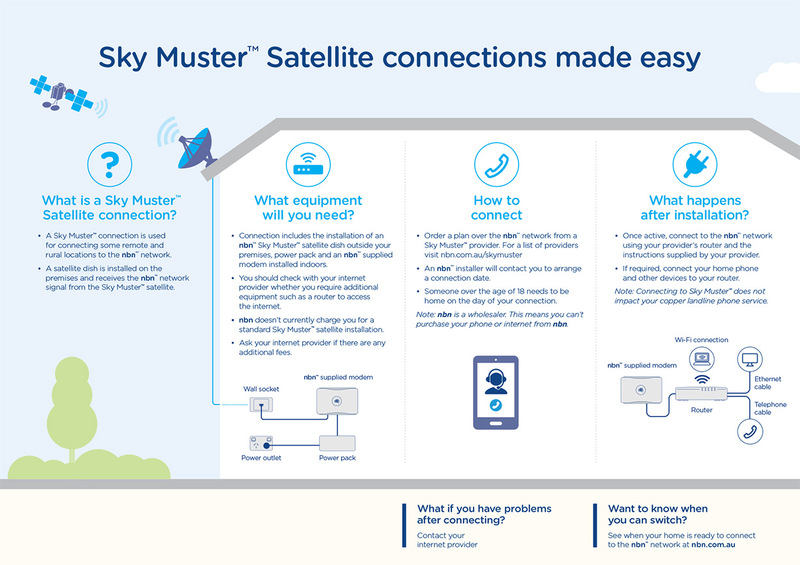 More than 70,000 end users are experiencing fast broadband on for the first time, or better broadband than they’ve had before through the NBN Sky Muster™ satellite service. NBN also offers larger data plans to internet providers for eligible schools, health clinics, Indigenous communities and not-for-profit enterprises through the Public Interest Premises (PIP) scheme. NBN continues to look at ways to deliver more value to rural and regional communities, especially in health and education. Medical practices and health professionals are to be provided additional data on Sky Muster™. This is similar to the education port which allows up to 50GB of extra data per month via a dedicated port to eligible students. NBN is working with the Department of Health and other industry bodies to classify eligible premises. More detail will be made available in the coming months. Discussions are being held with the Royal Flying Doctor Service about extending NBN’s aero mobility trial to the RFDS fleet in extension of the Qantas trial. This will allow critical connectivity in the air. A mobility solution for satellite (satellite in a box) is being developed which can be used by the health sector in areas with poor to little connectivity. In education, NBN’s proposed managed education services product will help provide enhanced capacity for schools and learning centres. Eligible families already receive an additional data limit via a dedicated education port. NBN also provides a higher data allowance for satellite schools. NBN will soon start consultation for phase two of their education product that will enable improved access to educational content for students via multicast video technology and managed plans that will allow unmetered data to select education sites. You can find out if you can already switch to the NBN network by visiting www.nbnco.com.au and typing in your address.